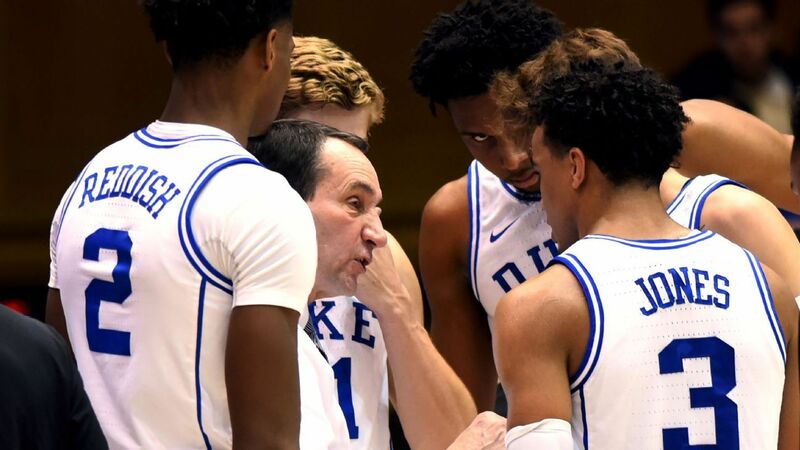 DURHAM, NC – Following Duke's first loss of the season last weekend, Mike Krzyzewski asks fans to recall the hype surrounding the start of the Blue Devils season and to appreciate the Growing suffering for a group of freshmen. "Let's be realistic about all this," said Krzyzewski. "Let's not be spoiled, we have four 19-year-old kids who have their backs torn off trying to learn to play and put a lot of pressure on them." Zion Williamson, RJ Barrett, Cam Reddish and Tre Jones were all top 10 and the first results were outstanding. However, after the fall of Duke against Gonzaga last weekend, Krzyzewski thought that there was an overreaction. Asked after Tuesday's dominating victory over Indiana if Barrett, in particular, had conceded defeat, Krzyzewski said several major mistakes had not yet been made and that the overreaction that followed the defeat was problematic. "And Duke fans, cut yourself, man," he said. "These children are not perfect. [Barrett] did not play the ball of the hero. He was playing the winner's ball. … I'm going to war with my guys. He had the heart to do that, Jack [White] had the heart to get the rebound. We lose, I will lose with them. " Krzyzewski noted several pieces Gonzaga should have whistled for fouls that were not called, but he downplayed the impact on the final result, focusing instead on the reaction to the loss. "We will not complain about that or say that the referees lost the match, but hey," Krzyzewski said. "[Barrett] probably should have gone to the fault line. It does not mean we will win. "